When I first started researching a Yellowstone National Park trip, I was not aware of how many hotels, lodges and cabins there were at the park. I only really knew about the Old Faithful Inn. The park is very large, and driving to each section can take a long time. You want to stop and see the sights and there may be traffic jams due to animals on the roads. It is not safe to drive when it is dark because you may hit an animal. 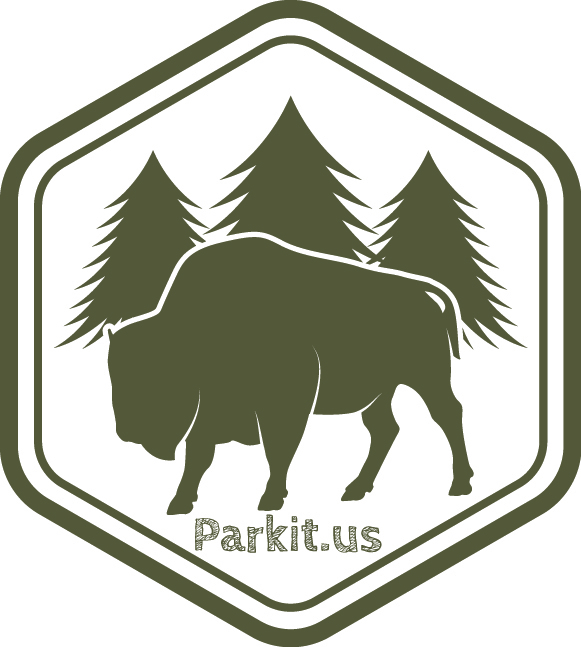 You do not want to hit an elk or buffalo! About a year ahead, I started to research the different areas and concentrate on what we wanted to see the most. We decided to split our time between the Old Faithful area, Mammoth Hot Springs, Roosevelt and Lake. Reservations open May 1st for the next summer. If you want an Old Faithful Inn room with a bathroom, a Roosevelt Lodge cabin with a bathroom or a Mammoth hot tub cabin, you must book ASAP. Xanterra runs the hotels and lodges at Yellowstone. You want to book through their web site or call them directly. Here are some pictures of the different locations and what is near them. The Old Faithful Inn area is very crowded during the day. Around the hotel and Old Faithful were the most crowds we saw the whole trip. A short walk away, the Upper Geyser Basin was much less crowded. At nighttime a ton of people also cleared out. We held a room in the old house section of the Inn. It had a sink, but shared bathrooms down the hall. The bathrooms were very clean and the shower stalls had shower gels and shampoo in them. The Inn is beautiful and they do give tours during the day so you can learn the history. The Mammoth area is near the North Entrance and Mammoth Hot Springs. Mammoth Village has a hotel, cabins, a post office, visitor center, chapel and restaurants. Historic Fort Yellowstone is here and there is a walking tour you can do. Elk are often seen in this area. We stayed in a hot tub cabin and it was nice after walking all day. One of our favorite locations was the Roosevelt Lodge and Cabins. Roughrider Cabins are basic and have a stove for heat. This location is near Lamar Valley and the Northeast Entrance. You would get to the Beartooth Highway from this entrance. You can sign up for the Cowboy Cookout during the summer and ride a horse from the Roosevelt Stables or take a stagecoach! The Lamar Valley is beautiful and a great place to watch for bears and wolves. If you want a cabin with a bathroom, you have to book on May 1st for the next summer. There are only about 14 of these cabins! Otherwise there are shared bathrooms. The next area we stayed in was near Lake Yellowstone. There are several nice hikes near Lake. You can take boats out or go on a guided Lake cruise. The Lake Hotel rooms are refurbished and expensive, but there are also bright yellow cabins here. Lake Lodge is next door and more rustic. There are cabins in this area as well. You can walk over to the Lake Hotel’s dining room. This is a good spot to get to Hayden Valley and The Grand Canyon of the Yellowstone as well. There is a nice large laundry area at the Lake Lodge. I hope this gives you some info on where to start planning. There are other areas to stay at near Canyon and Grant Village as well as campsites spread throughout Yellowstone. The Old Faithful area also has the Snow Lodge and Cabins. TripAdvisor has some great info that you may want to start with. Yellowstone Treasures is also a wonderful book for research!